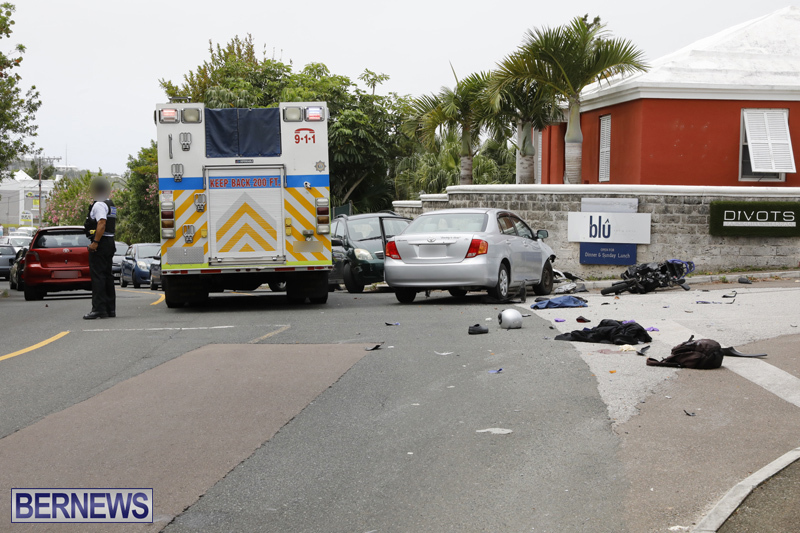 [Updated] The cycle rider injured in a collision on Friday [Apr 27] is still receiving treatment at the hospital, while the car driver involved, who was arrested following the collision, has since been released on police bail. A police spokesperson said, “At last check this afternoon [April 29th] the livery [50cc] cycle rider hurt in a collision with a car at the junction of Middle Road and Belmont Hills Drive in Warwick around 12 noon Friday, April 27th – believed to be a 44-year-old Sandys parish man – was apparently still receiving treatment at the hospital for injuries initially described as serious, but not life threatening. An update on his condition will be provided in due course. “The car driver involved, said to be a 52-year-old Warwick man, was arrested following the collision but has since been released on police bail pending further inquiries. 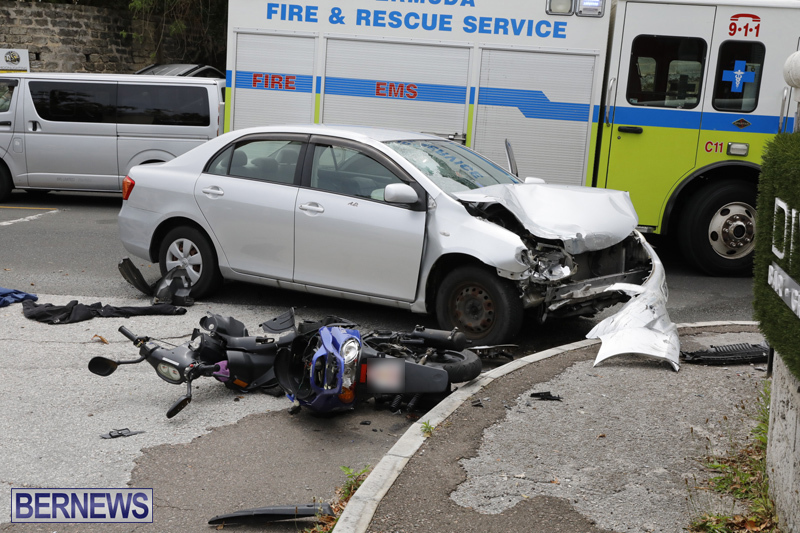 Update Apr 30, 11.02am: A police spokesperson said, “At last check this morning [April 30th] the 44 year old male livery [50cc] cycle rider hurt in a collision with a car at the junction of Middle Road and Belmont Hills Drive in Warwick around 12 noon Friday, April 27th was recovering in stable condition on a general ward at the hospital. “The car driver involved, said to be a 52 year old Warwick man, was arrested following the collision but has since been released on police bail pending further inquiries.